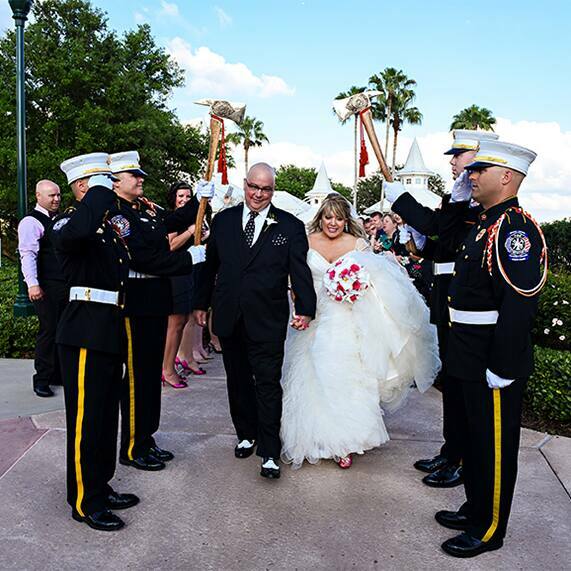 Earlier I shared a sneak peek of Jon and Teresa's firefighter love story and I am thrilled to feature the rest of their happily ever after. 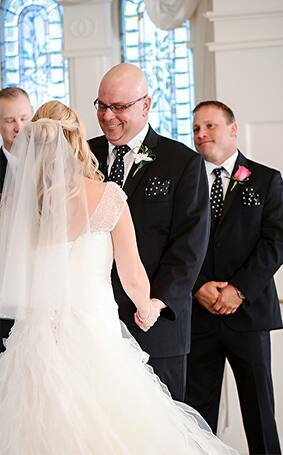 Jon, a firefighter in Ohio, was diagnosed with leukemia and it was unclear whether or not he would be able to make it to his wedding. 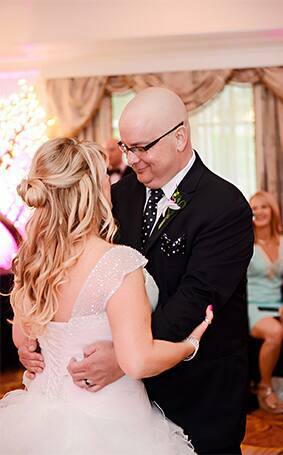 Thanks to his brother's donation of bone marrow, Jon became a survivor. 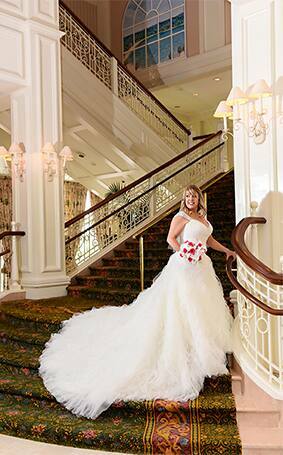 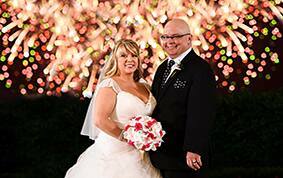 Jon and Teresa knew in their hearts that through determination and support they would make the Disney's Fairy Tale Wedding that they had always dreamed of a reality. 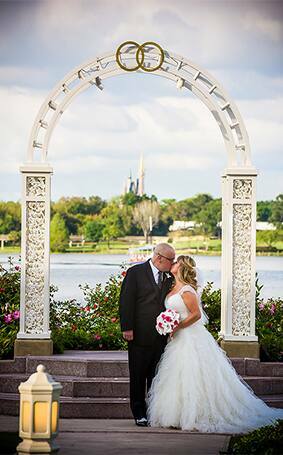 They truly believed in the quote that "every once in awhile, right in the middle of an ordinary life, love gives us a fairy tale." 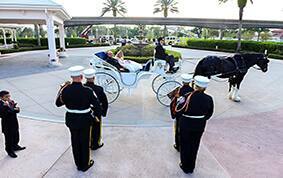 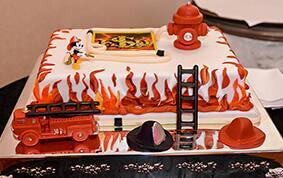 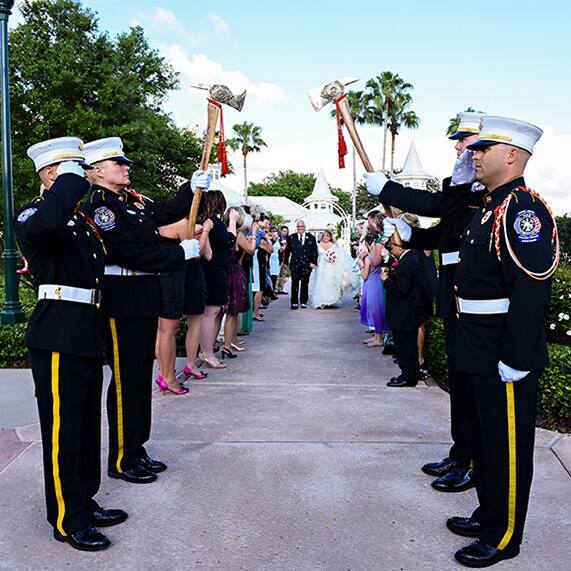 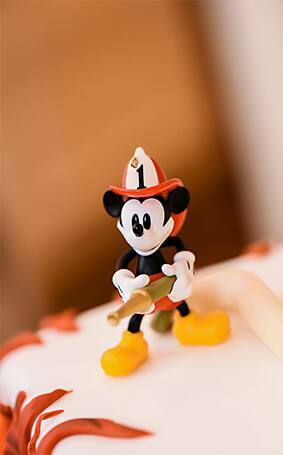 After they were announced husband and wife at Disney's Wedding Pavilion, they walked out to a surprise of fire trucks, aerial ladders, fire department color guards and more than 25 local firefighters. 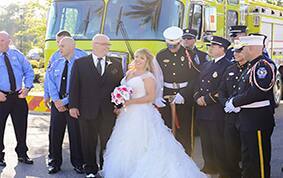 Jon's deputy fire chief had shared the story of his fight against leukemia to friends in Florida, and the local firefighters were honored to join the celebration of life and marriage. 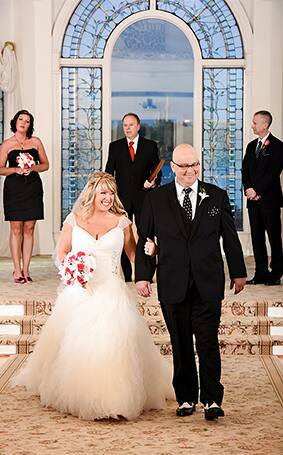 This amazing story is a beautiful reminder that love truly does conquer all, and I would like to wish Jon and Teresa many happy and healthy years together. 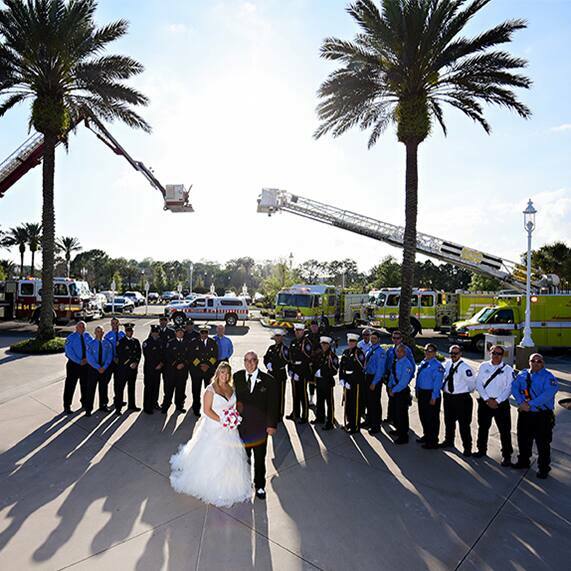 The couple would like to recognize and thank Reedy Creek Fire Rescue, Orange County Fire Rescue and many others who played a part in their happily ever after. 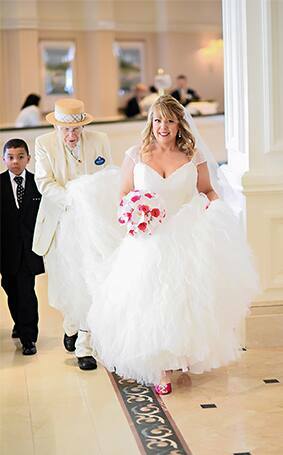 So Beautiful I wish you both true happiness.